The festive feasting started a week ago with my office lunch and it seems that I have been eating constantly ever since. Today I felt no inclination to eat rich, sweet or savoury dishes, instead I craved something light and fresh. 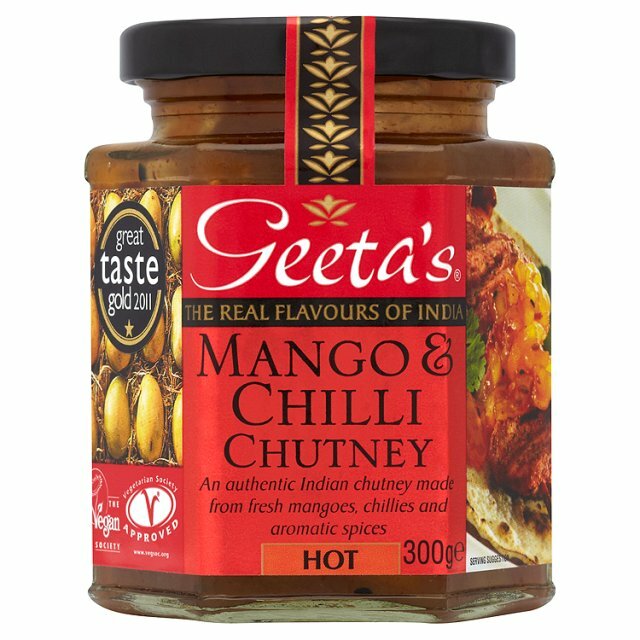 In the fridge, beside the turkey leftovers, cheeses and cream, I spied a bag of salad leaves, half a cucumber, a pack of mini sweet peppers and a jar of Geeta's Mango and Chilli Chutney (Hot). All the basic ingredients for that great summer standard 'Coronation Chicken', a dish created for celebration buffets by Constance Spry and Rosemary Hume for Queen Elizabeth II coronation in 1953. I've reduced the richness of the orignal recipe by using mainly cottage cheese and light mayonnaise in my dressing. 2. 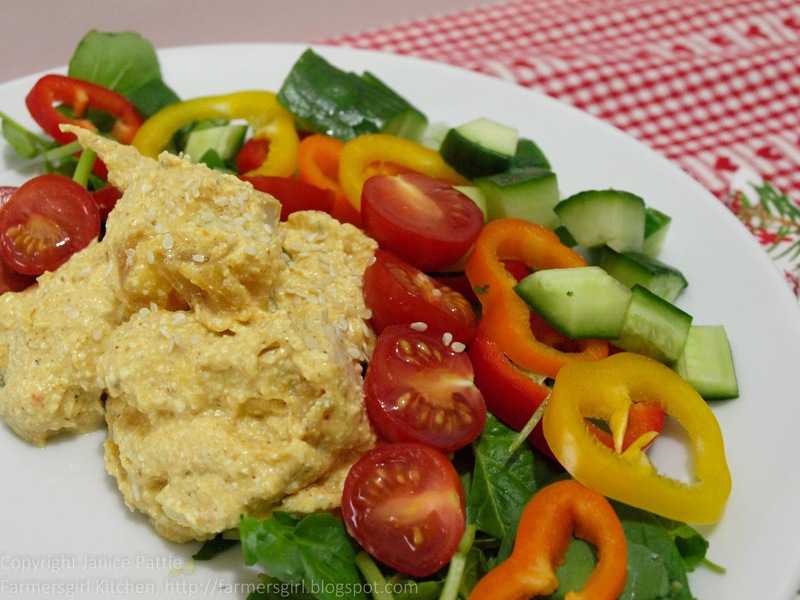 Put the cottage cheese, cream, mayonnaise and curry paste into a food processor and blend until smooth, add a little extra cream if the mixture is too thick. You want it to be the consistency of thick cream. 3. Put the mixture into a bowl, season and stir in the chutney and the turkey pieces. 4. Serve with a mixed salad. 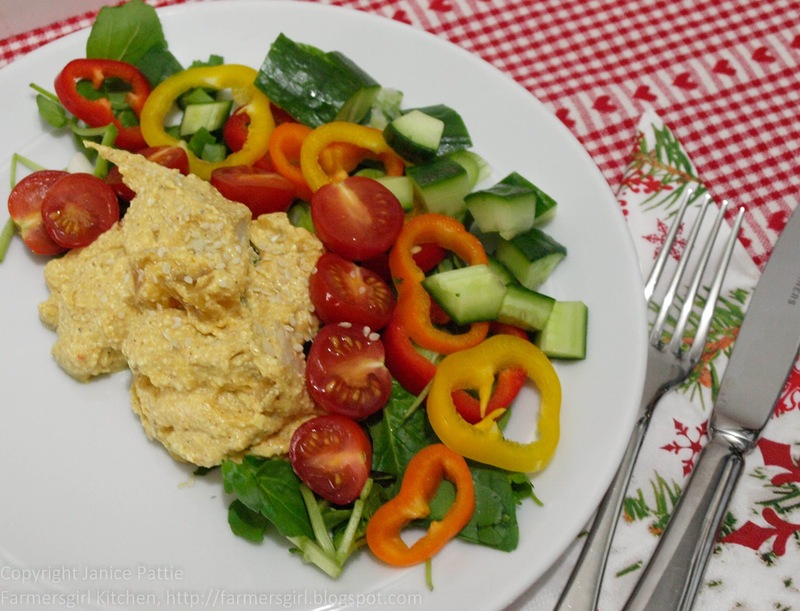 Sweet and crunchy, creamy and spicy, this salad provided the ideal contrast to the excesses of the last few days. It's also a delicious way to use up some leftovers, so I am entering it for the No Waste Challenge run by Kate at Turquoise Lemons. 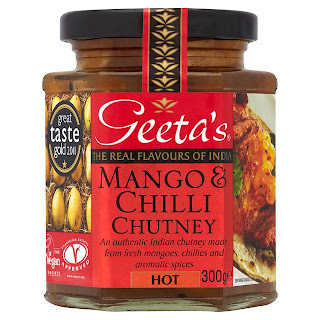 Many thanks to Geeta's for supplying me with a jar of Mango and Chilli Chutney to try, I was not required to provide a positive review, all opinions are my own. Looks like a good way to combat all the pastry and general richness of the past few days! There just comes a time over the holidays when salad is what you crave! I have had a craving for something spicy after all the rich food I've eaten - this is just what I need. What a relief to see salad again! This looks delicious the perfect antidote to Christmas indulgence. It is so good to see fresh vegetables on the plate. I love a change in flavours at this time of year and the fact that you have used reduced fat versions in the recipe to counteract all the festive food! Thank you for joining in the No Waste Food Challenge.